Lucy Stone, mother of well-known suffragist Alice Stone Blackwell, was the first woman in Massachusetts to earn a college degree (1847) and the first in the United States to keep her own name after marriage (1855). Stone served as an agent of the American Anti-Slavery Society, which often involved traveling and delivering speeches on abolition and women’s rights, and she was a leader in organizing the first national women’s rights convention, held at Worcester, Massachusetts, in 1850. In later years, Stone was considered a leader of the conservative wing of the suffrage movement. Unknown artist. 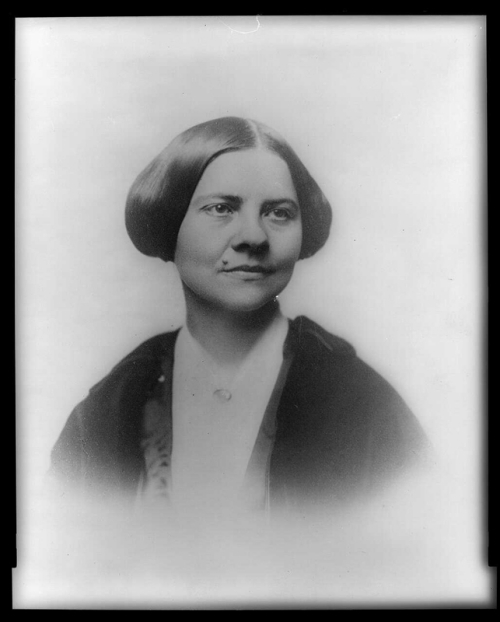 Lucy Stone, between 1840 and 1860. Library of Congress, Prints and Photographs Division, Washington, D.C.